Well, we made it. Memorial Day has come and gone and summer has unofficially started in New England. Commence the agonizing drives to The Cape or the slightly less steering-wheel-shaking insanity of a trip to the lake or the beach. May we recommend a stay-cation at the brewery taproom filled with family, dogs, food and beer?! We have some great events this month at the taproom and will be releasing a couple of new beers for your summertime pleasure. Hope to see you here! Our next lager has arrived! We reworked our Helles and added a bit of smoked malt to give you a different taste in your backyard beer. We basically brought the campfire to your glass. 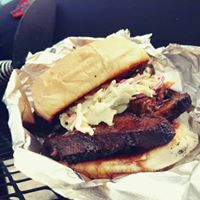 The amount of smoke isn’t too overwhelming, so come in and give it a try! We haven’t made Alan’s beer in a while and were craving it. This pale ale has a decent dose of rye malt, which lends a real nice spiciness and is balanced with lemony Centennial hops. If you haven’t tried this beer yet, make sure to come in for a pint. And if you have, you know how good it is, so get ye to the taproom! We have never done pasta in the taproom before, but being Italian, it was only a matter of time. We just had to wait for the right partner. 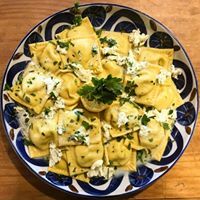 Our neighbors from Salem, Jean Louis Pasta Shop, are bringing their handmade pastas over the bridge and will be serving them for lunch on Saturday. To say we are excited is a massive understatement. Salute! ATTENTION!!! Bacon. You listening? I said, bacon. As in The Bacon Truck. They are coming back to Beverly! But, and this is important, we have decided to move the start time back to 6pm. And they will be onsite until 9 or until the bacon runs out. Remember that time we ate The Bacon Truck out of bacon? That was awesome! We should do that again. 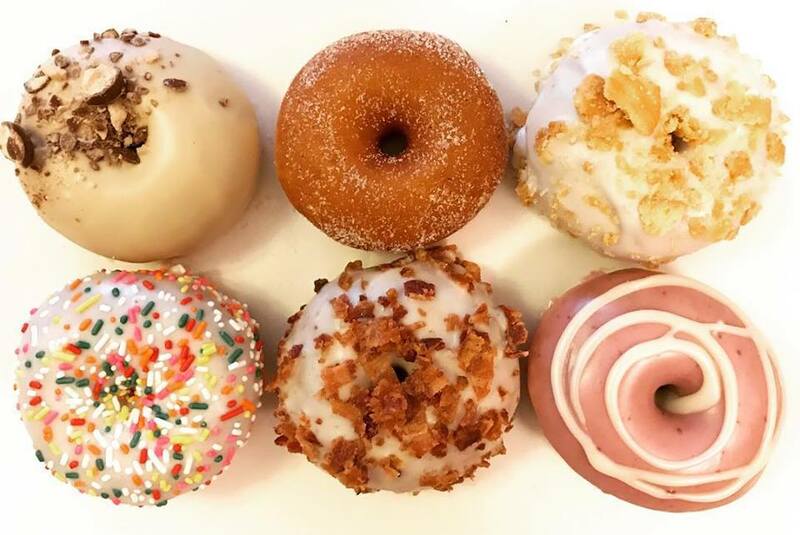 Speakeasy Donuts is back to share their super creative AND super delicious donuts with Beverly. Come say hi, buy some donuts and drink some beer. Remember, kids and dogs are always welcome here at the taproom, so bring the whole crew. I mean, you shouldn’t really be working under the heat of the noon day sun. Take shelter in the taproom, where there will be donuts and beer. Homer would be proud. It’s Soul, with a capital S! Chef Adrien “Hobbsie” Hobbs brings his brand of soul and BBQ from Haverhill to Beverly on Saturday. But notice that it is a Saturday evening event, from 4-8. This is what you should be doing Saturday for dinner. Go to Beverly Arts Fest and see the jellyfish you made during the Tidal Shift event (see below) and then come to the taproom, have a couple beers and eat BBQ. We will have just released our Smoked Helles on Thursday so why not pair some smoked meats with it? This is as easy as it gets people. En Fuego opened their second location in Beverly recently and we wanted to welcome them to the city by having them pop up in the taproom. If you have not had a chance to try them out, today is your opportunity. Their food is excellent and at least one of the beers they have had on tap is quite good and very local. 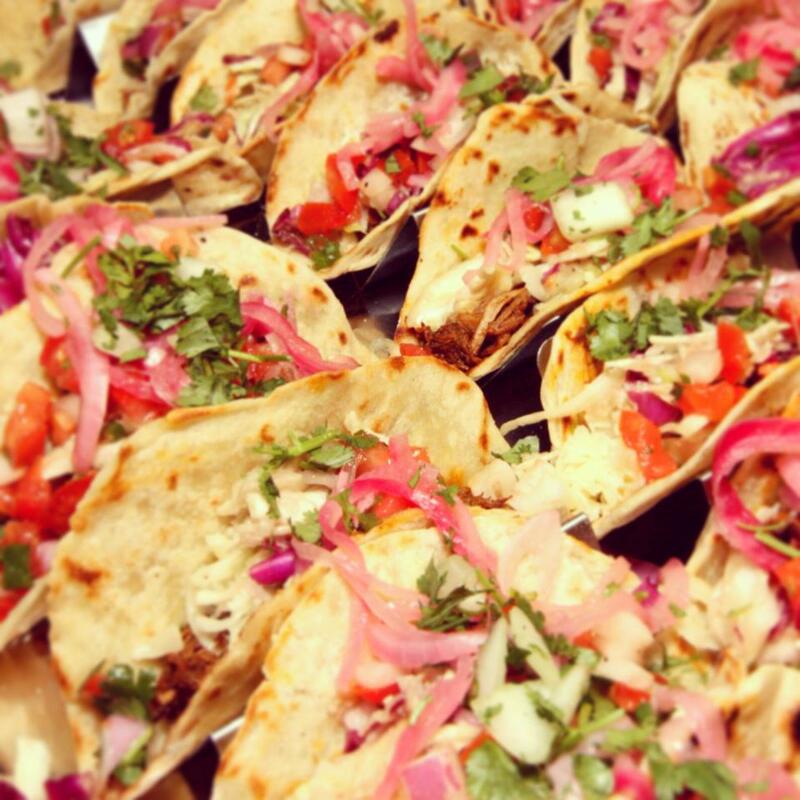 Join us at the brewery for some delicious Mexican cuisine and a cold beer! Kiddos and doggos are always welcome at Gentile. This is another Saturday evening event. We have never had this so-called “Bomb” but they sure do look Da-licious! 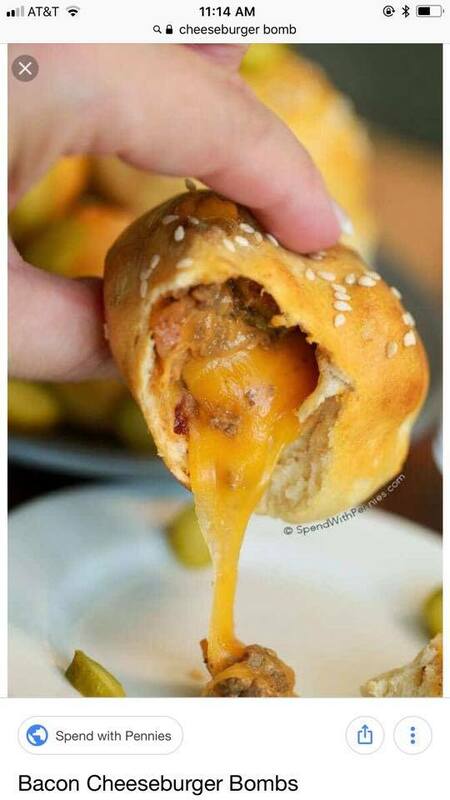 It is basically a Hot Pocket, but made by hand not by machine. 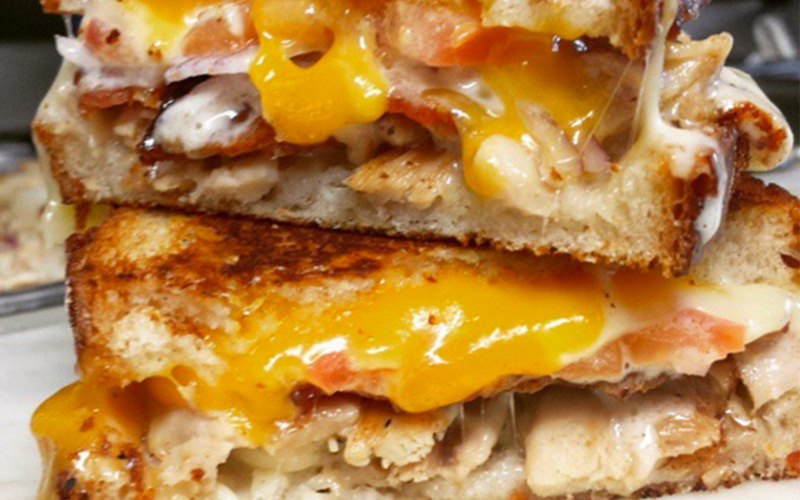 The fresh ingredients and gooey cheese should pair nicely with our made-by-hand beer. You can expect options like chili cheeseburger, pepperoni, pulled pork, veggie and chicken caprese. This is one of those food vendors where you order just by saying yes. We are not sure if Chilean food has ever been served in Beverly before. And we absolutely love exploring food from different cultures. 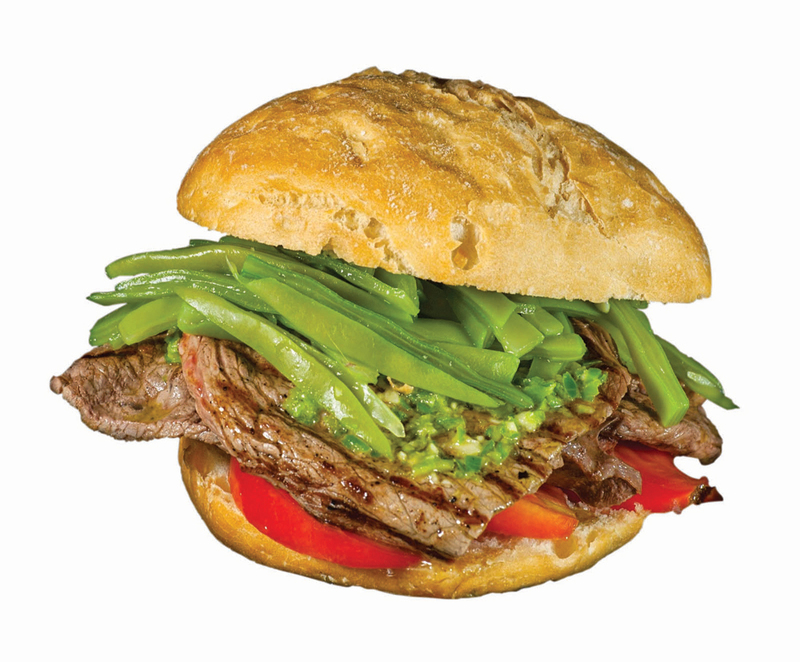 Pictured here is a chacarero which is a mouthwatering sandwich made with marinated meat, tomato, chilis and green beans. So interesting and if it makes it’s way onto the Pomaire truck it will make it’s way into our bellies. This is food that is literally made to consume alongside a draft beer. Thankfully, we got you covered. 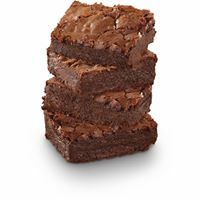 Early risers can plan lunch at the taproom and there will be brownies for dessert. If you wake up a touch late, this can be breakfast dessert. Either way, Wicked Awesome Brownie will have their scrumptious sweets ready for you from 12-3 in the taproom. If we hadn’t said it enough recently, you are welcome to bring your kids and dogs. Or if you prefer, leave them at home, properly supervised of course. This is such a great community event for you to be a part of here at the taproom! 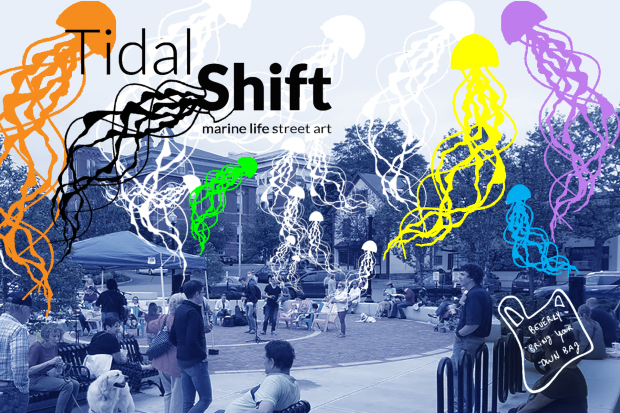 Tidal Shift is a participatory community art project run by Claudia Paraschiv of Studioful Design making jellyfish out of plastic bags. Their goal of over 200 jellyfish will be suspended for Beverly Arts Festival over Ellis Square. At last count, about 150 “jellyfish” have already been made. Feel free to BYOB (Bring Your Own Bags) or just bring yourself and choose from the plethora of plastic that has already been diverted from the trash stream.